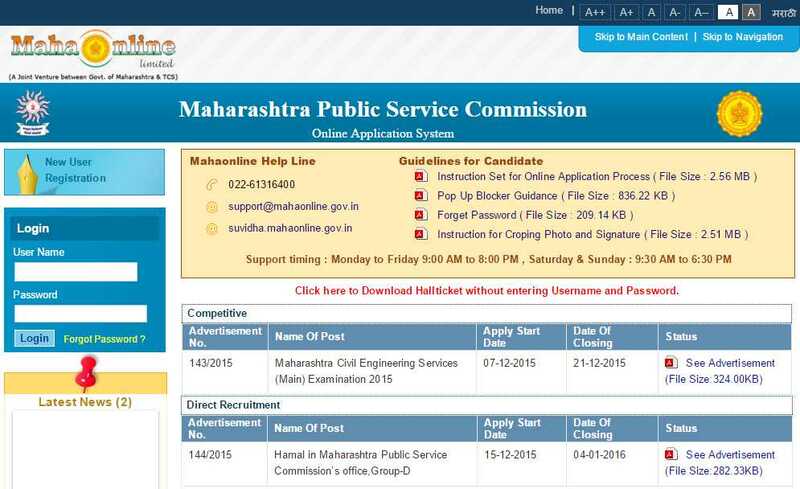 Will you please provide the detailed information regarding the MPSC Civil Judge Recruitment? Civil Judge Junior Division and Judicial Magistrate Fist Class. 21 to 25 years (Relaxation applicable as per Govt. Rules). Rs. 27700/- to Rs. 44770/- + Admissible Allowances. LLB degree with three years experiences as Attorney or Advocate as on 26th Feb 2014. The selection process will basis of written test and interview. Hello my name is umesh and I want to know about the pervious MPSC Civil Judge Recruitment drive eligibility criteria and some more details about it because my younger brother wants apply for this job? The applied candidate will be selected based on there performance and marks in pre exam, mains exam and Interview for these Civil Judge vacancies.